About me Knowing when to buy and when to sell on intraday trades is the biggest challenge for day traders. My job is to make it easy for them. 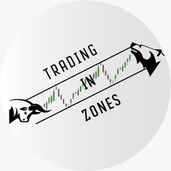 Trading in zones!! Will the demand kick in? Nifty levels to watch from FIB perspective. Nifty weekly chart for FIB support and resistance levels. 270 on the cards for next support .. post that might test 200 levels.